Our aim is to provide a comprehensive primary healthcare service which caters for all age groups. We will refer you to specialists when necessary. Largest Physiotherapy and related services provider with 60 locations around Australia! Workcover, Medicare Care Plans, DVA and TAC Bulk billed with no out-of-pocket expenses. All services are covered under private health insurance extra cover! We at Inspire Physio Care are known for our passion, enthusiasm, integrity and skill based physio services. We have a reputation for clinical excellence and exceptional experience while catering to clients of all ages with variety of musculoskeletal problems and neuro disabilities across our multiple locations. All of our clinics are managed by experienced accredited professionals who are passionate about providing the best physiotherapy and rehabilitation services to our clients. We aim to be personable and approachable, providing the kind of service that can put you at ease. We provide treatment for Private Patients, Workers Compensation and Motor Vehicle Injuries, Department of Veteran Affairs, Comcare and Medicare (EPC). We currently support you in the northern and western suburbs of Melbourne, and we are growing…..
– We offer supervised exercise rehabilitation in our on-site gym. No referral required: You do not need a doctor’s referral for our services. You can be self-referred or be referred by family members, friends, funding organisations or other health professionals. If in doubt, pick up the phone and talk to us, we are more than happy to help you. Education and advice on strengthening and stretching exercises for acute and chronic injuries. Hydro & exercise groups group: $35 (5 max). 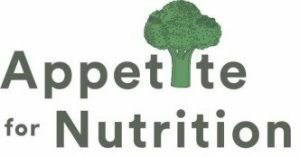 Appetite for Nutrition is passionate about improving your health through food. Our dietitian Carly, is dedicated in educating and supporting her clients in expanding their nutrition knowledge, and feeling confident in achieving their health and wellbeing goals. Referrals via Enhanced Primary Care (EPC) plans be BULKBILLED; no gap payment. Private fees apply for all other patients. Most private health funds will provide rebates to see an APD. Our Podiatrist from Podiatry Foot Practice is able to help with your foot problems and is working in the clinic on Wednesday Mornings and Friday afternoons. He has a special interest in people with diabetes. He endeavours to ensure you have an understanding of the affects diabetes can have on your feet and how to try to prevent complications from occurring. Our Podiatrist can also treat your common foot problems such as corns, callous, thickened toenails and ingrown toenails or warts. Podiatrist are trained in making custom made foot orthotics to help clients who have biomechanical issues such as heel pain, arch pain or knee pain. Consultation is by appointment at Hoppers Crossing branch. Q1 Medical have several doctors who are highly trained and experienced in women’s health. Women’s health encompasses a broad range of women’s issues, such as sexual health, shared care, contraception, Mirena insertion and family planning as well as specific gynaecological conditions. Q1 welcomes Latika, an obstetrician and gynaecologist, practising at Q1 Medical Highpoint from 24th August 2018. 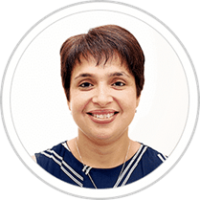 Hi, I am Latika, an obstetrician and gynaecologist practising in Werribee and Sunbury. I believe in providing patient-focused specialist care in women’s health. I took up obstetrics as my career choice because of the happiness and joy it brings to a family. I have had the good luck to experience this first hand multiple times with each baby that is born under my care. Each and every baby has not only brought happiness to the family but also enriched my life as well and hence I would like to be with you in this beautiful journey and be a part of your most important milestone. My areas of interest are high risk obstetrics and minimal invasive surgery. I also specialise in management of abnormal PAP Smears, Colposcopy and Prolapse. Being a woman myself, I feel I can empathise with my patients and provide them with more holistic and efficient treatment. For the major part of my career, I have worked in the western suburbs and understand very well the requirements of the population sub-group in these areas. I ensure immediate feedback to the referring doctor so there are no long wait times/multiple follow up calls to receive the consultation outcome. I would love to hear back from you with your feedback and any queries that you may have. Consultation is by appointment at Q1 Medical Highpoint Shopping Centre branch.